I have never seen this many dogs in one place before. Except maybe that time I watched 101 Dalmations. The Hunt. And, no, I'm not referring to the Danish film starring Mads Mikkelsen that was one of my favorites of 2012. 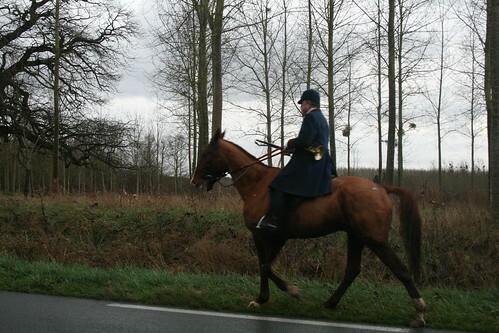 Rather, when my uncle wrote to ask me to join him, his son, and some family friends last weekend in the Loire Valley, he enticed me with the words "deer hunting on horseback." Never mind the fact that I have never held a gun; that the extent of my equestrian experience is being led around the petting zoo on a pony by a trainer over ten years ago; that my role in this French tradition remained ambiguous in the invitation. I read those words and replied, "Yes, please!" Because when it comes to having new experiences my attitude tends toward "Why not?" rather than "Why?" 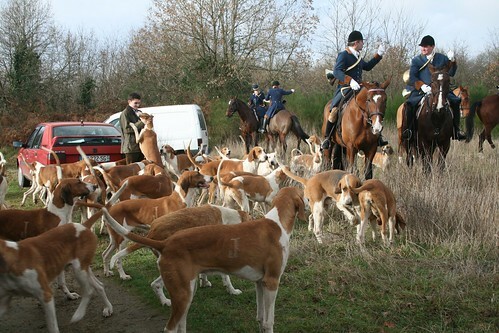 But the reality of the chasse à courre is, perhaps disappointingly, less thrilling than the name suggests. For one thing, there are no firearms involved. 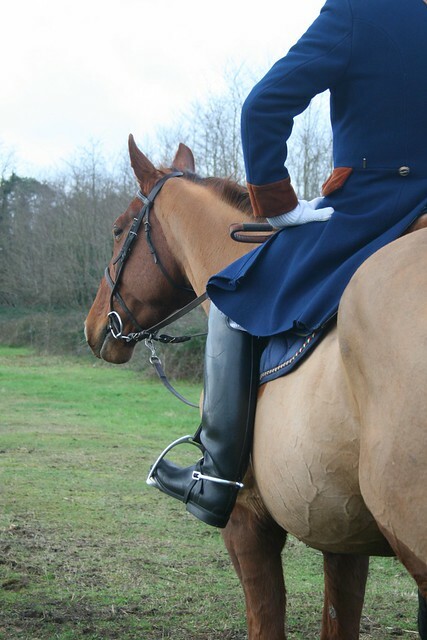 And without a proper uniform and training, you are not expected to ride. So instead what followed that afternoon was more like a suburban safari in which my relatives, their friends, and other curious observers trailed along behind the team by car, bike, and foot, pulling over on muddy roads when we lost the riders to the woods, stopping to listen for the sound of the horns, and hoping to catch a glimpse of the prey. My expectations were undoubtedly shaped by movies, television, and hours of childhood spent playing The Oregon Trail. You see, I assumed that the humans would be doing the actual hunting, when really their primary function (as far as I could tell) is to follow the dogs. The hounds sniff out the deer, guiding the people toward its track and, in effect, running the whole show. It's the canines who kill the animal as well, and are rewarded at the end with the carcass while the riders, dismounted now, play traditional songs on their French horns. Darkness had already fallen by the time everyone returned to the initial rendez-vous, so the ritual was performed by the light of a car's headlamp; in this setting, watching the dogs devour the deer felt like observing some weird satanic sacrifice. I wish I could have been closer to the action, because after a while it was difficult not to focus on the lack of sensation in my toes; alas, while my borrowed Wellingtons protected me from mud and rain they offered no insulation from the cold. But, then again, maybe this was just one of many aspects of French culture that I will never fully understand. Also, because this didn't quite fit anywhere else, seeing a pack of forty dogs up close in person is oddly reminiscent of the Pixar film Up, except that they lacked GPS collars and voice boxes, which would have come in handy seeing as two dogs failed to return. See more of the hunt on Flickr.